It is with tremendous relief that I’ve learned the treatment of Tintin’s soreness problem has been successful, in that he is now much more comfortable and is possibly heading for a career at stud (now confirmed he will be standing at Nevele R stud). p2, 1:55.9; p3, 1:53.2 $934,305 16 wins. At 2, wnr G1 Sires’ Stakes 2yo Final, 2nd Listed NZ Yrlg SS Open, 3rd G1 NZ Welcome Stakes, Listed 2YO Emerald. 2YO NZ record holder over 1950m. At 3, wnr G1 3YO Emerald, G1 Australasian Breeders Crown Final, NRM Sires’ Stks heat, 2nd G1 NZ Derby, 2nd G1 Sires’ Stks Final. At 4, wnr G1 4YO Emerald, G1 NZ Messenger Championship, G2 4YO Futurity Stks, G3 Kumeu Stks, 2nd G1 Akld Cup. NZ record holder over 2700m. And also the excitment he brought to racing. But what I remember most is the young Tintin full of character, cheeky, assertive, tough minded from an early age. He radiated determination and energy as potent as a coiled spring. Thanks to Kym’s ability to educate a young horse without supressing their spirit, he could bring all that energy with him to the trainer, and Geoffrey Small knew the family and recognised the talent, and could channel that energy and assertiveness into remarkable performances on the track. What could he be as a sire? People will look to him for speed – we need another Bettors Delight, a sire that can add speed and is forgiven for not necessarily adding size. Of course speed on the track doesn’t necessarily convert into leaving speed as a sire. But in Tintin’s favour, he has a remarkable family behind him, and both a dam and sire who were speedy. As well as genotype, he has phenotype on his side – those quick flex muscles and the body type that can certainly express speed more easily than bigger, heavy types. In a future blog, I’ll dig into this in more detail. But for now, I’m celebrating Tintin – a neat horse, a thrill to be part of – and wishing him, above all, comfort and freedom from pain. The two Australian companies in my previous blog are specialised pedigree consultants. That’s their primary focus, although they acknowledge the breeding needs to take other things into account. Breeding consultants, on the other hand, should advise on good matches in a wider sense – compatible types, family strengths and weaknesses, even qualities the market is looking for or what will build future value (broodmare prospects if the foal is a filly). They should be upfront about any particular breeding or pedigree theory they prefer. Their strength is in their ability to research and understand your mare and her family in detail and to have done the same with a wide range of the sires available to New Zealand breeders. 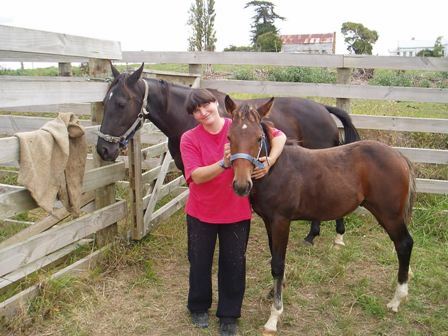 There are not many independent pedigree or breeding consultants in New Zealand who specialise in standardbreds. In fact Frank Marrion, well known to us as a prolific writer on breeding, may be the only one currently. The studs have Tesio-based advice and some good insights on their stallions which are useful but don’t fit what I’m referring to here as independent advice. Frank advertised his consultancy services a few years ago and has since been kept very busy by the response and is now having to cut back this line of work. While this is a pity, it certainly shows that there is a market for someone who is respected for their knowledge and independence. His clients have included some big names in breeding as well as many newcomers wanting a good steer. Frank doesn’t pull his punches. “I don’t support paper pedigree matching or the search for ‘magic bullets’, as I don’t believe they exist other than the possible benefits of doubling up to superior mares in the right places. Rather I recommend breeding for type, or being familiar with the traits of sire and dam for compatibility and breeding to their respective strengths or away from their weaknesses, and then shortlisting complimentary outcross blood in the sires. The breeder’s budget and plan for the foal also comes into making sire suggestions. But just paper matching, I think that can do a lot of harm and waste of a lot of other people’s money, if the consultant doesn’t care about the individuals in question,” he says. “Most breeders like to do their own thing, for better or for worse, but there are also a lot who are genuinely in need of some help (particularly relative newcomers to the game) and are really appreciative of an overview of a situation. These are also the people that are most likely to fall prey to consultants!” he adds. Frank Marrion says budgets and whether the plan is to race or to sell are other important considerations. “I find Tesio useful for certain things, but I’ve learned that focusing on the mare type and sire type is far more critical. Once I’ve ascertained suitable sire types for the mare, I will use Tesio to come up with an order of preference based on compatible outcrosses – although that sort of thing is pretty much in my head – and supply the Tesio test matings to accompany the reports and recommendations to my clients. I don’t make any promises or guarantees other than I hope to assist people to avoid mistakes,” he says. Looking at examples of client reports prepared by Frank Marrion, I can see his hallmark thoroughness and almost obsessive attention to detail. As a breeder, I like the insights they would give me into my mare and the clear rationale behind each recommended sire. I would miss the potential X factor, but I can always add that ingredient if I want, or use my own understanding about how to find it. Frank Marrion’s charges for reports varied, about $300 depending on the time and work involved. If he had already done some work on the family previously it would be at the lower end, maybe $100. ‘Bulk lots’ would see a lower unit price or a negotiated flat fee. Breeding horses successfully involves a whole raft of factors. Fact one: Breeding successfully is not easy. Only a tiny proportion of horse bred for yearling sales get those top prices, and many struggle to cover their costs. And only a tiny proportion of horses bred each year reach the stage of racing and winning, let alone becoming consistently high performing horses. You often hear the simple formula: “Breed the best to the best and hope for the best”. 1 + 2 + = + $ + U + ?
? An element of luck. My blogs examine the different parts of this equation.